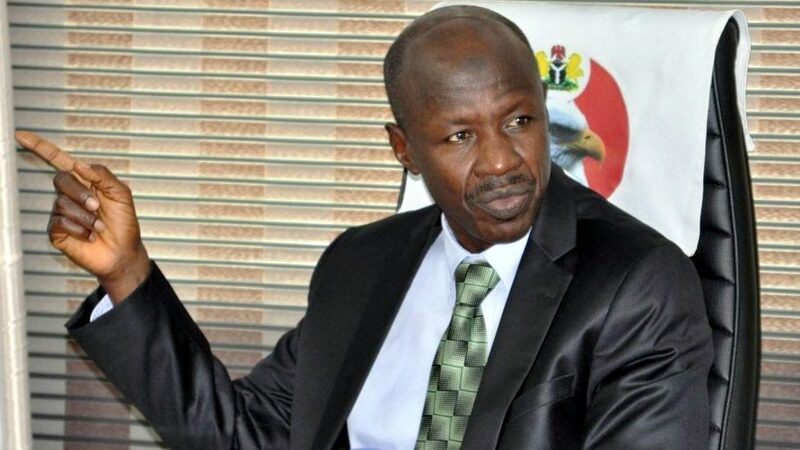 The sum of N328,988,296,990.62 has been recovered from some major oil marketers by The Economic and Financial Crimes Commission (EFCC), Kano Office. The retail oil marketers are Conoil Plc, Total Plc, OVH Energy Plc, Forte Oil and Gas Plc, Mobil Plc, MRS Oil Plc and NIPCO Oil Plc. The recovery followed a petition against the leadership of the Nigerian National Petroleum Corporation (NNPC) and its subsidiary, Pipelines and Product Marketing Company (PPMC). According to a statement by the EFCC Head of Media and Publicity, Mr. Wilson Uwujaren, the breakthrough was the consequence of an investigation into alleged diversion of N40 billion by the affected marketers. The statement said: “The petition alleged that a whooping sum of N40 billion had been diverted by the major oil marketers in connivance with the leadership of the NNPC and PPMC. “The EFCC in a swift reaction referred the petition to a special task force, who swung into action by conducting discrete investigation. “Findings by the operatives of the EFCC revealed that the oil marketers were actually indebted to the Federal Government to the tune of N91,519,485,204.44 between 2010 and 2016. “Further investigation into the allegation also revealed that the oil marketers had continued to obtain petroleum products from the government without proper payment, in violation of the NNPC/PPMC credit facility regulations. “The probe further led to the discovery of N258,928,926,351.93. Following the latter discovery, the total amount of debt stands at N349,818,411,556.37. “Upon the conclusion of the preliminary investigation, officials of NNPC/PPMC and all the managing directors of the concerned companies, which are NNPC retails, Conoil Plc, Total Plc, OVH Energy Plc, Forte Oil and Gas Plc, Mobil Plc, MRS Oil Plc, and NIPCO Oil Plc, were invited to the Kano Zonal Office of the commission, where their statements were recorded following which the recovery process commenced. “So far, a sum of N328,988,296,990.62 has been recovered from the major oil marketers. Shady deals in the oil sector, including the fuel subsidy scandal, were said to have cost the nation over N1.3 trillion in 2011. But the manipulation of subsidy claim caused uproar nationwide. The Presidential Committee on Verification and Reconciliation of Fuel Subsidy Payments had initially indicted 21 firms for fraudulent claims that cost the nation N382 billion. The list was later increased to 25 by the Federal Ministry of Finance based on fresh evidence. The former chairman of the committee, Mr. Aigboje Aig-Imoukhuede, said of the N422 billion scrutinised, N18 billion was found to be duplication and N21 billion was cleared. He confirmed that of the 116 oil marketing and trading companies (OM&T) invited, 107 honoured the invitation. He said: “Of the N422 billion, N18 billion was found to be duplication. So, the actual amount that was being verified is N403 billion. Of this amount, N21 billion was cleared and that leaves N382 billion as the sum in contention for which the committee recommended that the process of recovery should be made,” the committee report noted.